Description: One lucky buyer will enjoy this rare find! 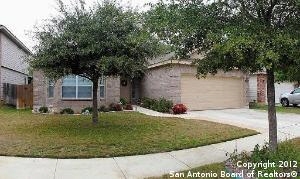 Granite in kitchen & both baths!Beautiful tile and wood laminate floors-no carpet! Plantation shutters & custom hunter douglas shades! Huge kitchen with stainless smooth top, deep sink, 42 in cabinets, built in desk & bay window! Huge family room/dining with bay window! Gorgeous master bath with corner jetted tub, glass blocks & walk in shower! Screened in patio to enjoy the very private backyard retreat! Too many features to list...Move in ready! Just beautiful!